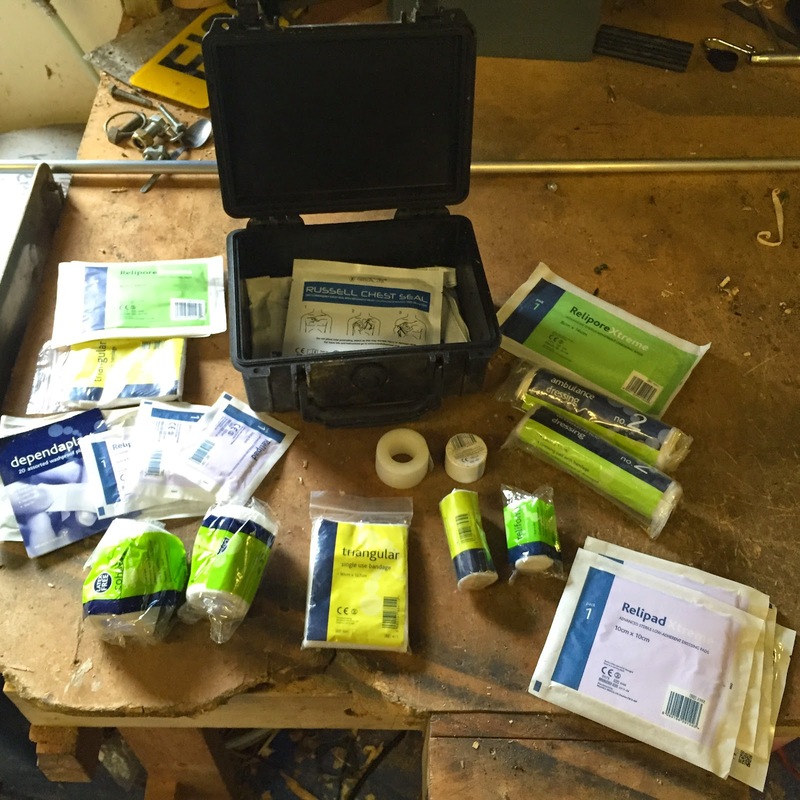 The contents consist mostly of large wound dressings, large sterile dressings and assorted tape/gauze. 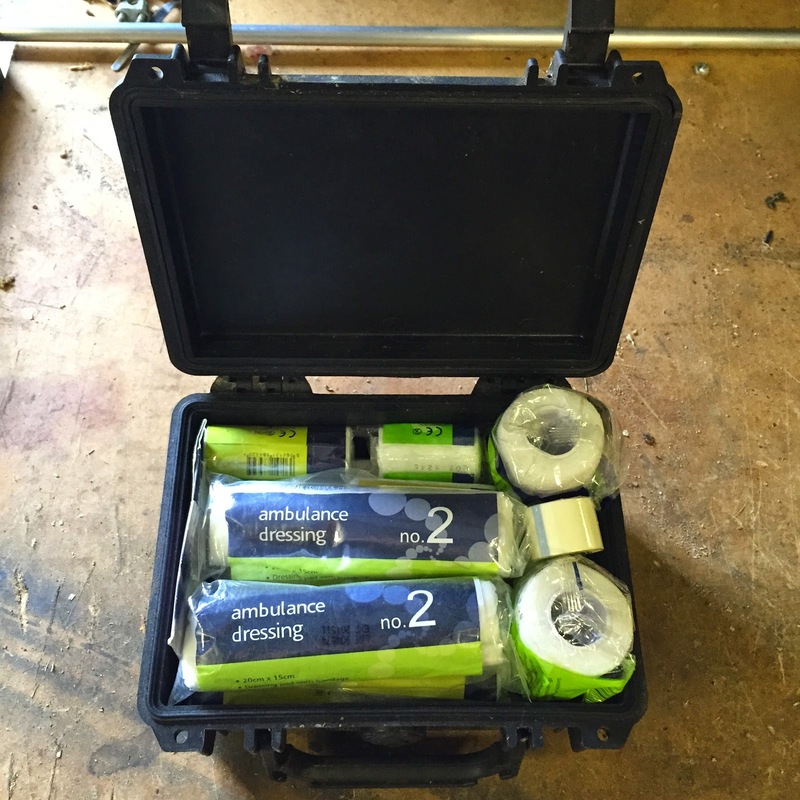 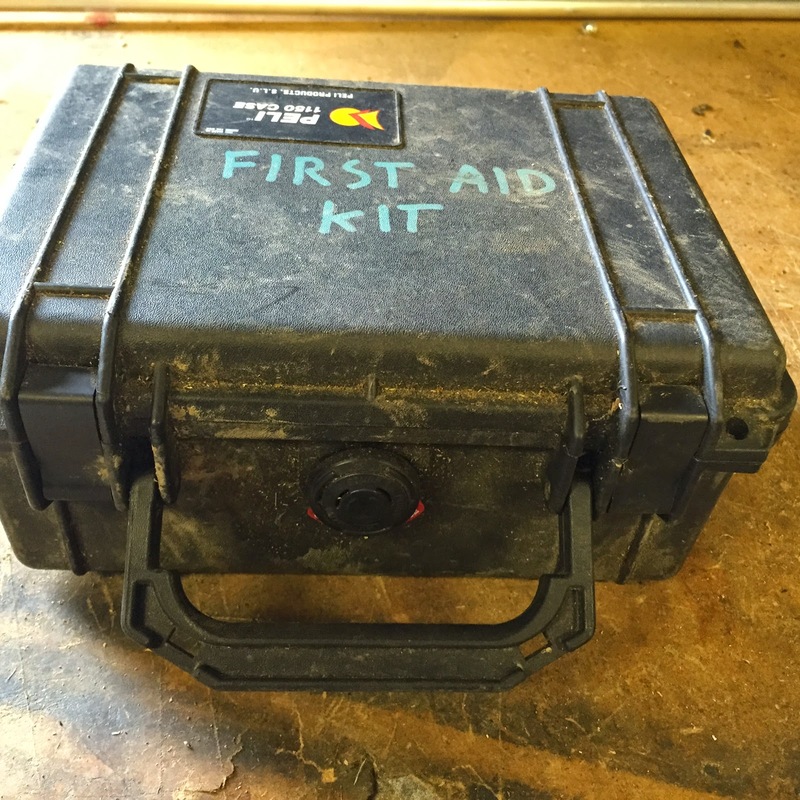 which is a Peli case I originally brought to house my SLR camera, but decided after countless other first aid boxes had fallen to pieces that it would see more action and be better suited to living in my truck. 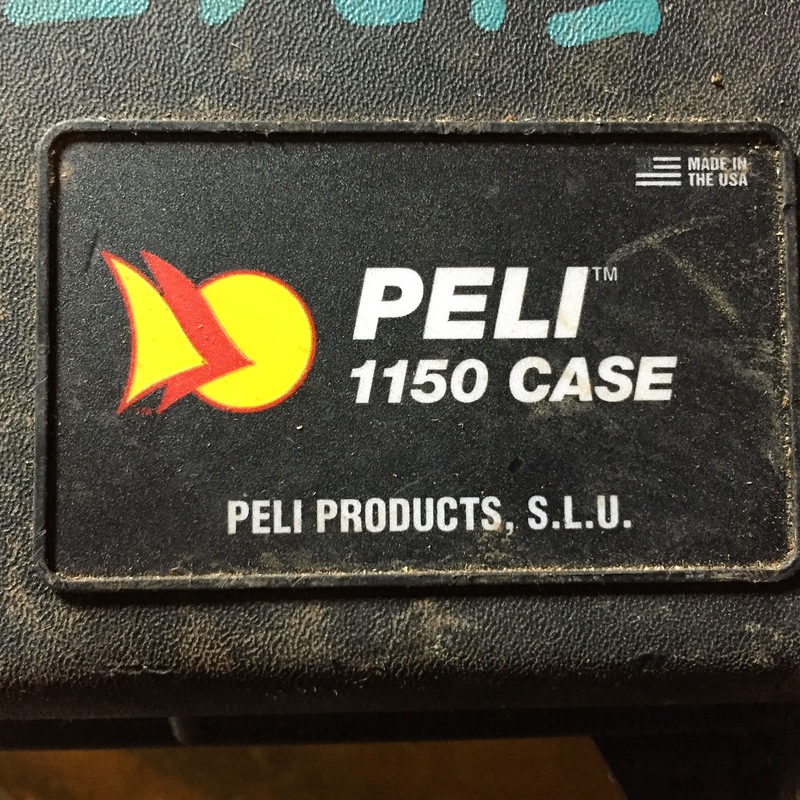 Peli are renown for there quality and robust build, they are completely water and dust proof and will take a serious amount of abuse. 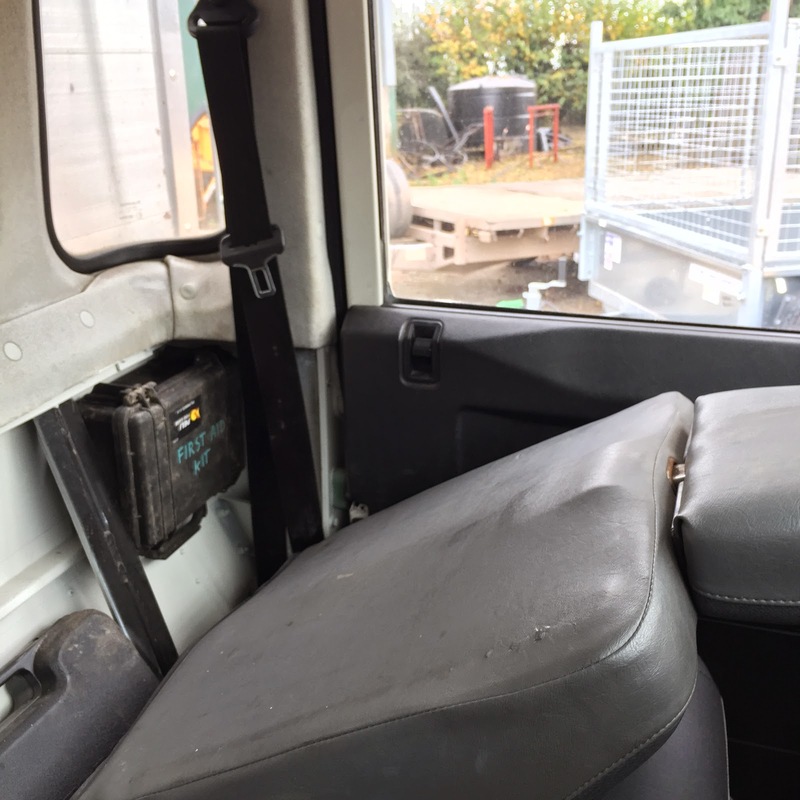 with a lot of important items.